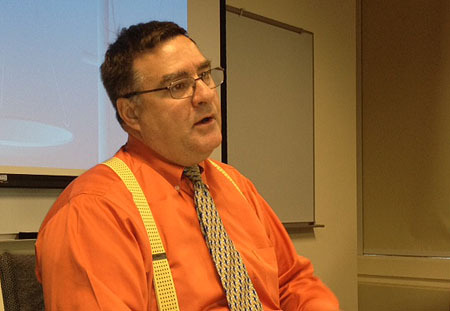 Editor's note: This story was written in DePaul's Urban Reporting class. Judy Skinner, a 20-year Bronzeville resident, booked her flight for Las Vegas a few months ago after she got word that the NATO summit would take place less than a mile away from her front doorstep. The NATO summit will be held in Chicago, May 20-21 at McCormick Place, a mile north of the South Side Bronzeville neighborhood. That said, she's not sticking around for the summit. As many Chicagoans like Skinner have learned, NATO brings several potential safety and security concerns. Traffic, transit, security, crowd control and protestors are all concerns for city, said Don Zoufal (left), a safety and security expert who helped with the city's security for the 1996 Democratic National Convention. Authorities suspect anywhere from 10,000 to 50,000 protestors and more than 100 dignitaries with up to 170 motorcades could descend on the city in May. Bronzeville residents are concerned how it could potentially affect their neighborhood, with its proximity to McCormick Place. Most of the parks that the protestors are likely to try and camp out at, close at dusk or 11 p.m., Zoufal said. Skinner’s other concern involves where will all these protestor’s camp out. But not everyone has concerns. For example, people posting on the hyperlocal news website Everyblock wrote that the summit is a great way to showcase Chicago and the Bronzeville/Douglas areas. One person’s comment said the summit will increase exposure for the Michael Reese Tech Park and the new 31st street harbor. Residents will not be the only ones potentially affected by NATO, local businesses will be, too. 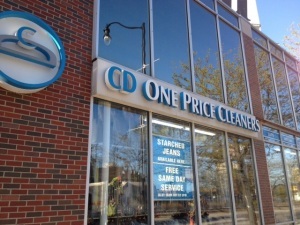 Armando Cortez, manager at CD One Price Cleaners on Michigan Avenue and Cermak Road, said he has heard that some businesses in the area are thinking about boarding up their windows, so that no damage is caused from the protestors. Because the cleaners is not sure how big the crowds will be or how controlled the protestors will be, the business is still unsure if it will close or alter hours during the summit. 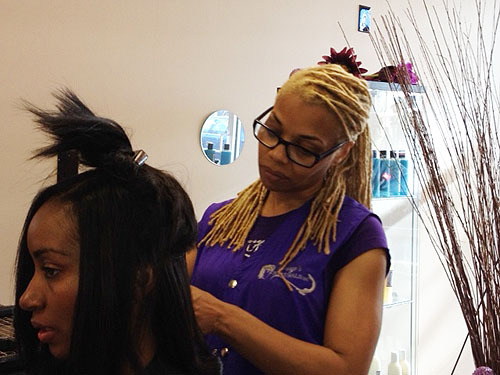 Darya Johnson, a salon owner whose shop is located on 22nd Street and Michigan Avenue, said she was not aware that the summit was going to be held at the McCormick Place when she moved into her shop in December 2011. However, she said she’s not too worried about the traffic or the protestors. Skinner said she does not feel like the traffic is a blessing in disguise. She is expecting the traffic to be similar to the chaos that occurred the night President Obama was elected in 2008. Because Skinner drives past McCormick Place to get to work, she would have to go miles out of her way to get to her job at the Chase Tower downtown during the summit. To avoid all the hassle, Skinner put in for vacation the days to coincide with the summit and booked her Vegas trip.